Butterball a Modern Marvel? You're Darn Tootin'! Warriors, Grizzlies and Fox – Oh My! GTT Shoots South by Southwest for E! Day in the Life of a DP - Shooting for ABC's "20/20"
Dallas Crew Shoots for MSNBC’s "Your Business"
Nashville Cameraman at the CMT Artists of the Year Red Carpet with E! Welcome to the Go To Team Peter! Miami Crew Has A Shaq Attack! DC Crew is heating up! Miami Crew shoots NBA Moms vs NFL Moms in basketball with Shaq! Miami Crew goes neck deep into "The Swamp"
Miami Crew & Angie Stone Talks to UNSUNG! LA and Chicago hit the slopes in Aspen for X Games - and they were stoked. CLT & Charleston Crew Tackle SMT with Dale Jr.
Charlotte Crew shoots with Paratriathletes and Marathon Moms with Intersport. Charlotte crew shoots with US Open champ, Webb Simpson. New York Crew Shoots at Trimpers for "Your Business"
Charlotte crew shoots Demo DVD with Trijicon optics. Charlotte Crew serves up some justice with Gaston County PD. Charlotte crew shoots ‘got chocolate milk?’ promo in ATL. Charlotte crew teams up with Turner Sports and MLB legend Elias Sosa. Charlotte Crew shoots with HBO Sports & boxer Andre Berto. Charlotte crew teams up with Comedy Central for fun and games at DNC. Adam Scott and Mercedes Benz-Golf. Pre-gaming with Turner on Kiawah Island. Our Charlotte Crew hits close to home with Ricky Stenhouse Jr.
Charlotte Crew Shoots for American Honda Motors, Inc.
Nashville Crew Spends the Weekend with Phi Sigma Sigma in D.C.
Go To Team supports the Charleston Film Festival... Great Event for Charleston. Go To Team, a Great Place to Work and here's the Award to Prove it. National Association of Broadcasters in Las Vegas, seeing the future equipment of "cool tv"
Something from Nothing; Go To Team posts trade show masterpiece. Post-production Reel: Go To Team Editor, edits himself. Charleston, South Carolina… great tourism destination and Go To Team’s home turf. 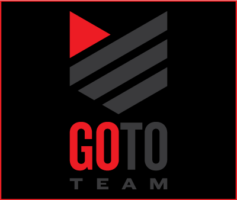 Go To Team DC Crew | Conrad Washington D.C.
Join Go To Team Behind the Scenes in our New Podcast!